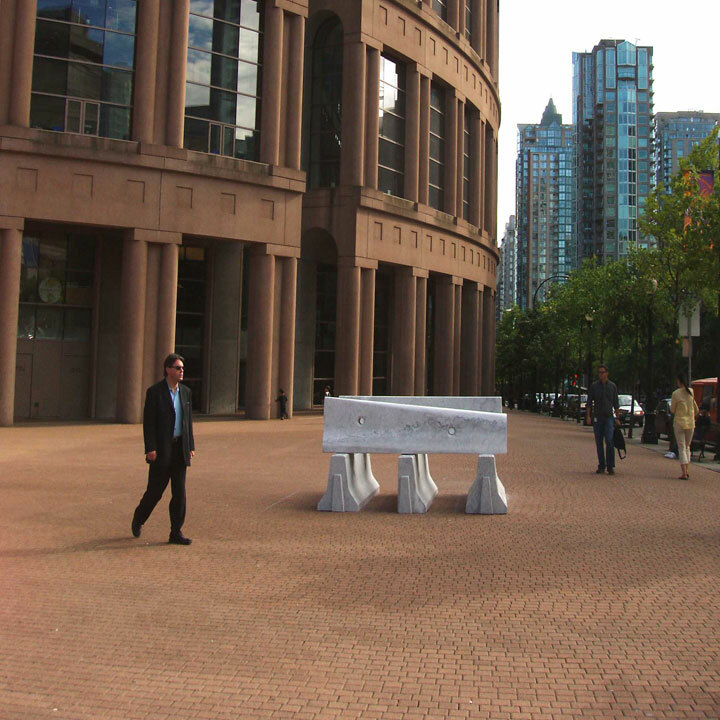 Closing Event, Thursday, September 7, 2006, 6:00 p.m.
Marble Infrastructure Project inserted a series of marble sculptures by Cameron Kerr into public sites in and around the main library precinct. Kerr’s sculptures were life-size carved marble replicas of concrete city infrastructure objects such as bicycle racks, curbs, roadside barriers, and bull nose barriers. By shifting these objects’ material from mass produced cast concrete to highly finished carved marble, the artist aesthetically transformed everyday functional objects into extra-ordinary works of art.